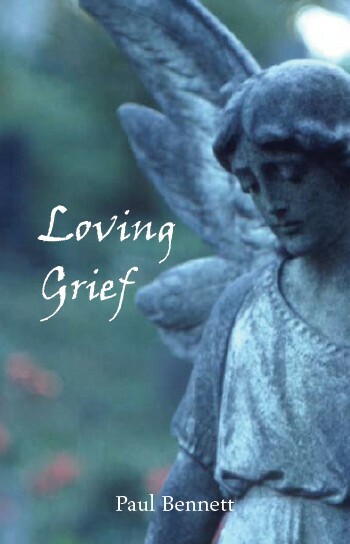 Paul Bennett, in his book Loving Grief, writes "Seeing my grief as my love left me whole." Paul's book is an excellent and soothing source of continued wisdom about the grieving process. This is why I've listed it in the books and resources section. Especially for people who have lost a spouse, this body of work helps honor the many feelings involved, while providing the gentle nudge to move through it. He quotes Morrie and Arleah Schechtman who put it this way in Love in the Present Tense: "A commitment to personal growth produces constant losses because each time you move forward to embrace the new, you have to let go of something old. The more you are awake and present in your life, the more you will feel these losses." You may benefit greatly by partnering with a coach during your grief. I highly recommend Rita Goldhammer for her compassion and wisdom about the impact of grief and how to move through it. Visit her web site at www.pivotalcrossings.com. A very helpful website to visit is www.grieflossrecovery.com. It has a vast resource of articles and poems in many categories of loss, a chat feature, prayer requests, and more. www.Selfgrowth.com is the #1 Internet super-site for self improvement and personal growth. You will find articles and countless weblinks on topics from grief and loss to health and wellness. Rays of Hope in Times of Loss tops the list, of course! Whether in the early or late stages of grief, the full-color photography with poetic & therapeutic narrative can comfortably guide even the most reluctant person in their journey. It comfortably invites you into your own self-discovery. www.maxplan.us for guidance in human and financial assets. Free calculators to assess loans and future account values. The Power in Your Money Personality describes eight styles of financial habits and thought processes and how to rebalance overly dominant traits. 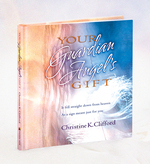 Your Guardian Angel's Gift by Christine K. Clifford, is an artistically beautiful, full-color gift book. It recites a poem Christine wrote on a plane to remind herself, as she glanced into the heavens, of an unforgettable message to live by: there is no force on earth more powerful than hope. Order at www.cancerclub.com. Finding My Way by John M. Schneider, is a fully comprehensive book about healing and transformation through loss and grief. If you feel ready to really delve into your journey in detail, I highly recommend this book. Tuesdays With Morrie by Mitch Albom, is a touching chronicle of a dying person sharing his philosophies with his former student. It can give you tremendous insight into your own story. A Grief Observed by C.S. Lewis, is about the author's own journal about his grief over the loss of his wife. Raw and honest in its reflections on suffering, it can be helpful in bringing an understanding of the true depths of the pain of significant loss.